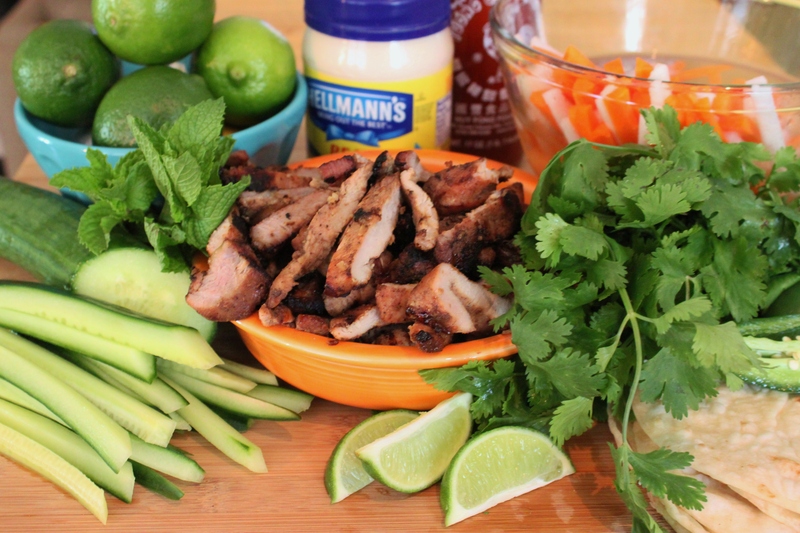 Technically, Banh-Mi means “sandwich” in Vietnamese. Something the Southeast Asian country was missing entirely until the French occupation of Vietnam introduced them to escargot, crepes, pate, and especially……baguettes. With the bread, now the Vietnamese people could take their meals on the go. Pork, or chicken, and veggies were packed inside a softer, yet crisper, version of a French baguette. Since we don’t have access to fresh baguettes……. why not tortillas? We love shakin’ up the rules every now and then……. 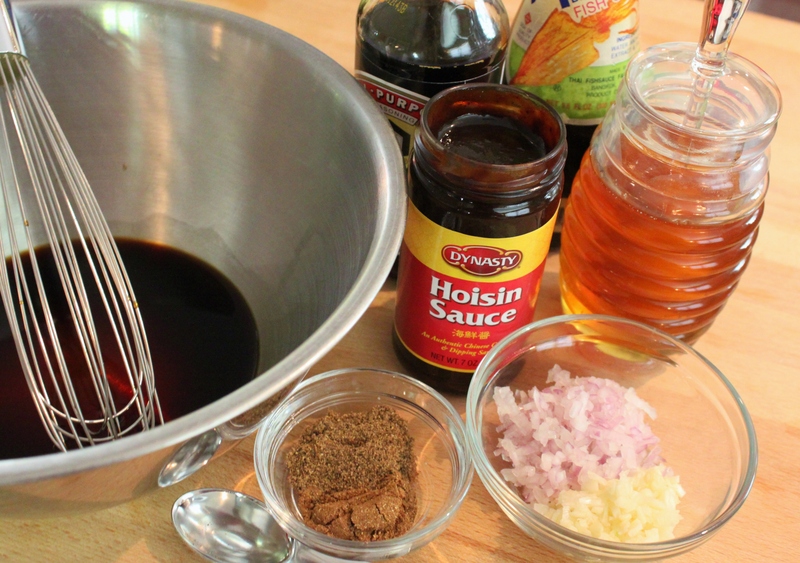 …and marinate about a pound and a half of pork. 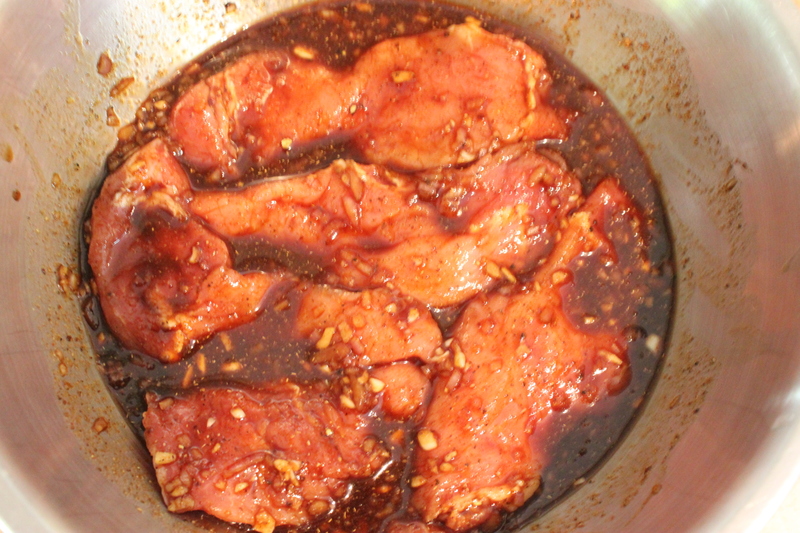 I used boneless pork shoulder cut in strips, but chops would work just as well. 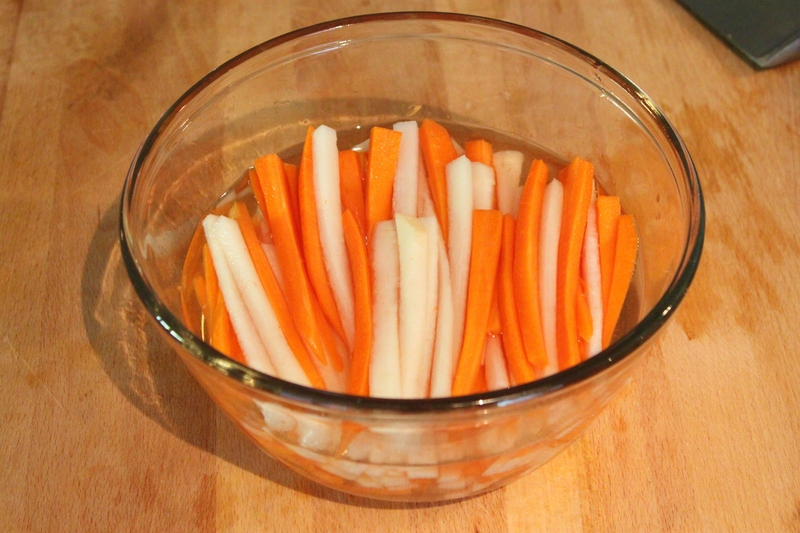 Cut both into sticks and let them soak in the brine for at least 2 hours, but overnight is even better. 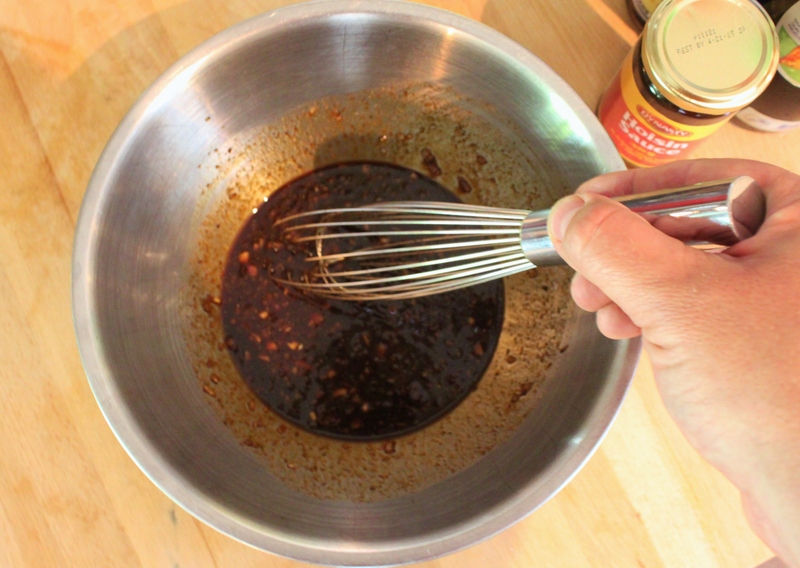 Wipe the excess marinade off the pork before you grill. Just takes a few minutes on each side. Now you can start assembling your tacos. 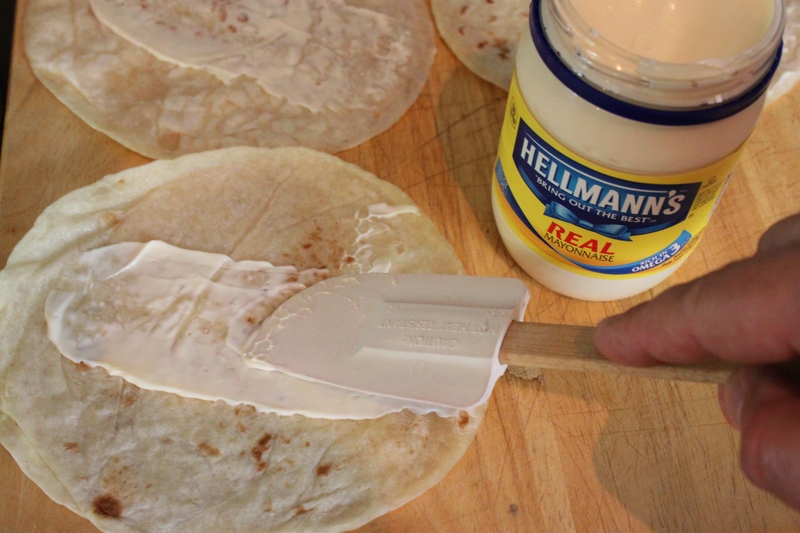 Smear a little mayonnaise across the tortillas. Then load them with all the goodies. 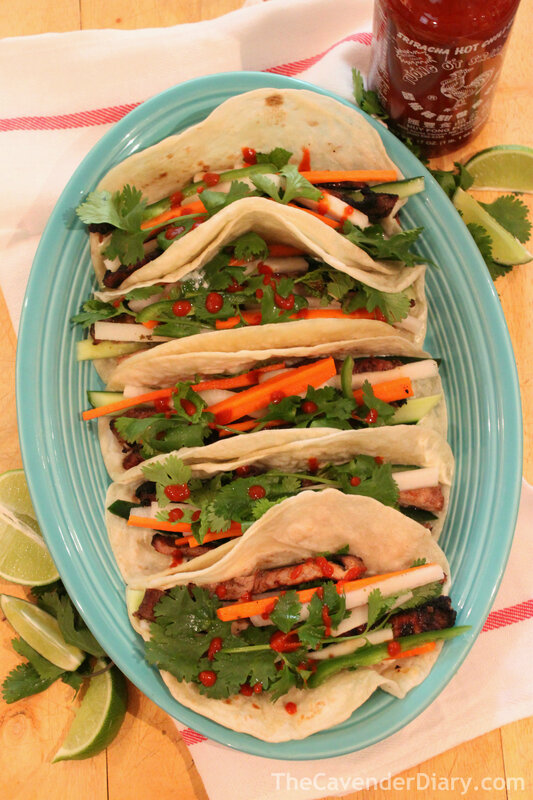 A squeeze of lime, and a few dollops of Sriracha, finish them off. What are y’all waiting for? Oh my! LOOKS good….but I might be too much of a light weight when it comes to that heat…..I AM intrigued, however! 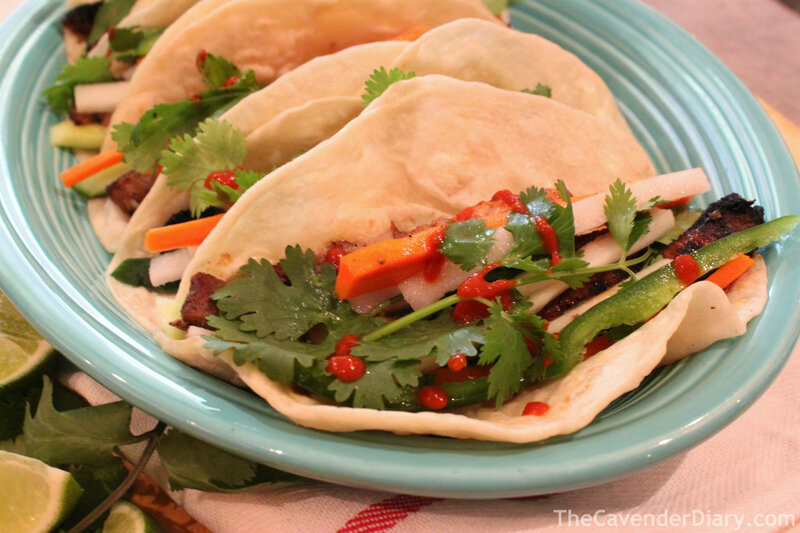 They aren’t as spicy as you may think. One slice of jalapeño, no seeds. 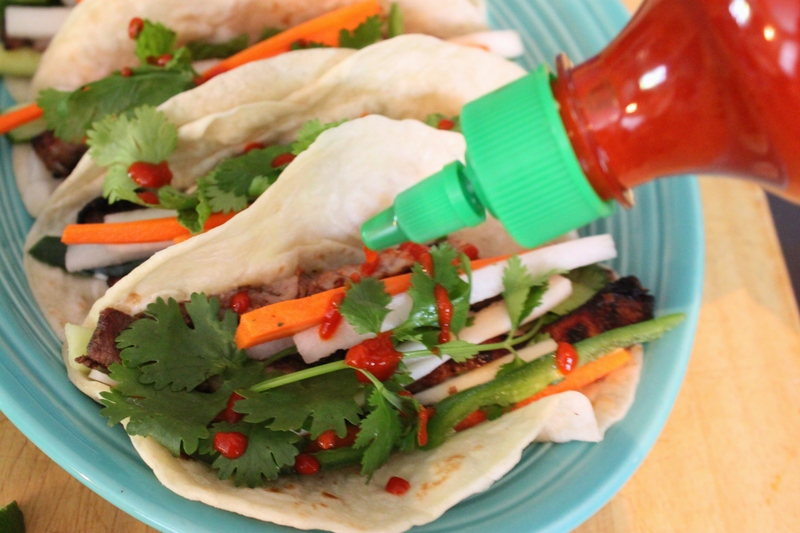 And Sriracha just has a little bite…….Try them!